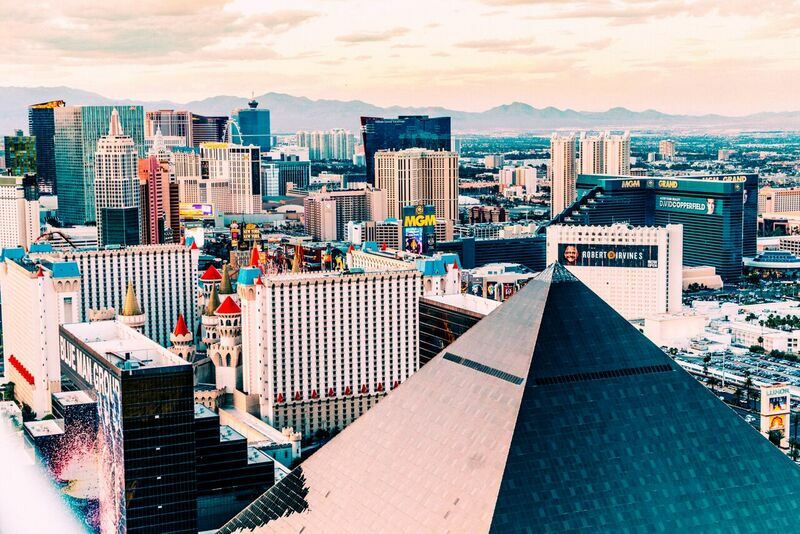 Last week we ventured high above the Las Vegas strip, 64 floors to be exact, for a night that since last year's festivities, we've anxiously awaited. For the Love of Cocktails presented by Back Bar USA is an annual, charity-driven celebration where mixologists from all over the Vegas Valley present their masterpieces to an audience of enthusiasts much like ourselves during a Grand Gala of inventive and downright delectable cocktails, gourmet bites, and one of the most memorable parties you could ask for. If you pace yourself, that is. After all, what better party guests to share a night with than people who know their booze? And for a good cause? Didn't have to twist our arms. Held at Skyfall Lounge within Delano Las Vegas, the money raised from For the Love of Cocktails goes towards the Helen David Relief Fund, which was founded by Tony About-Ganim in honor of his late Aunt Helen. Helen David was a strong and extraordinary woman and thrived as a bar owner and community leader in Port Huron Michigan. She wasn't easily bested, beating cancer twice in her life, and her memory lives on through her perseverance, hard work in the industry, and incredible love for life. The fund was ultimately created to assist bartenders fighting breast cancer and their families. Growing up in Las Vegas, something about this yearly celebration puts a warm stamp on our hearts. It brings the tight-knit bar community together under one roof and everyone is just so enthralled and excited to be there. Last year, not knowing what we were getting ourselves into, our eyes were a bit larger than our alcohol tolerance, therefore not giving us the type of content we wanted to share with you. This time, we buckled down early, got down to business, then indulged after it was all said and done. I mean hey, we're only human, and free samples are free samples. Lets take a look at some of our favorite creations, shall we? Torres 10 Year, pineapple, and edible glitter anyone?! It was an absolute pleasure to attend another year of this out of this world event. We're already looking forward to next year.